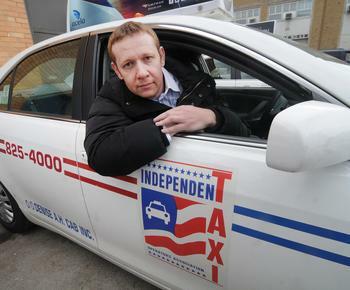 Boston Taxi Drivers: You Callin’ for Us? 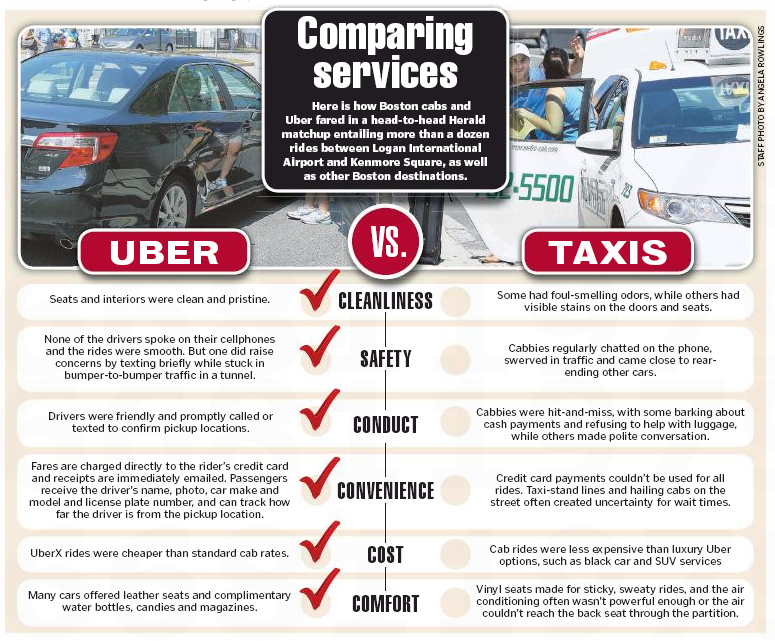 The ride-hailing service Uber isn’t exactly getting great press these days, even in Boston, where an Uber driver struck a pedestrian in the Fenway area last night. 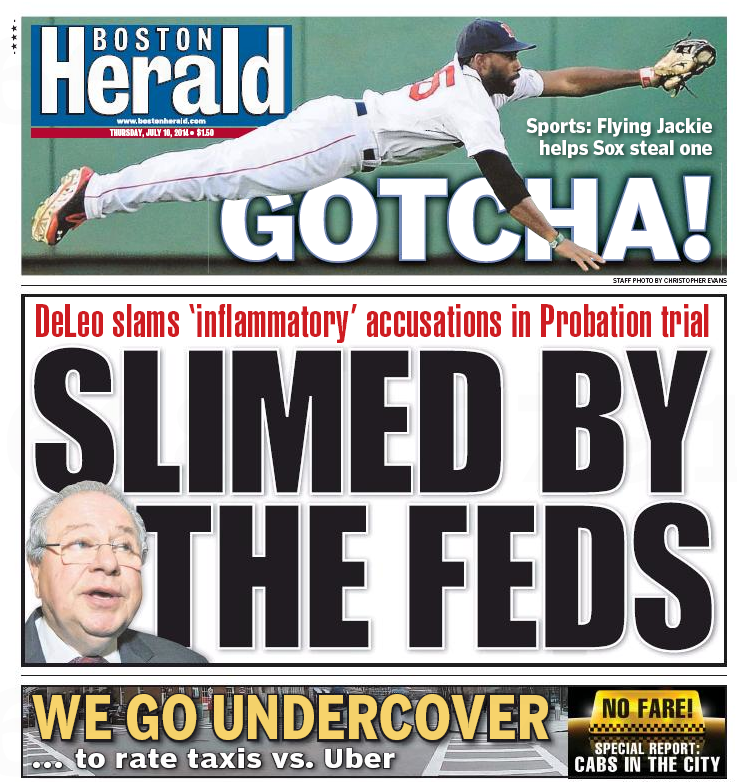 That’s good news for local cab drivers, who take to the front page of today’s Boston Herald to flag Uber’s problems. 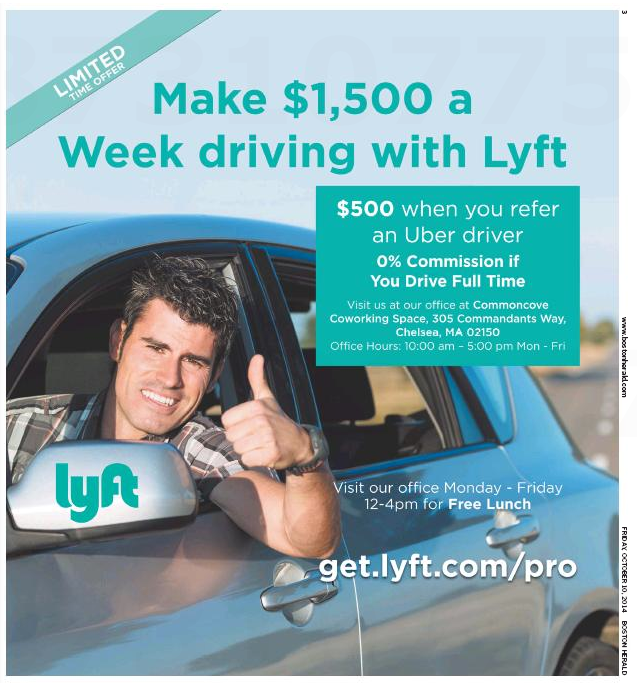 Interestingly, there’s no indication of who paid for the ad. 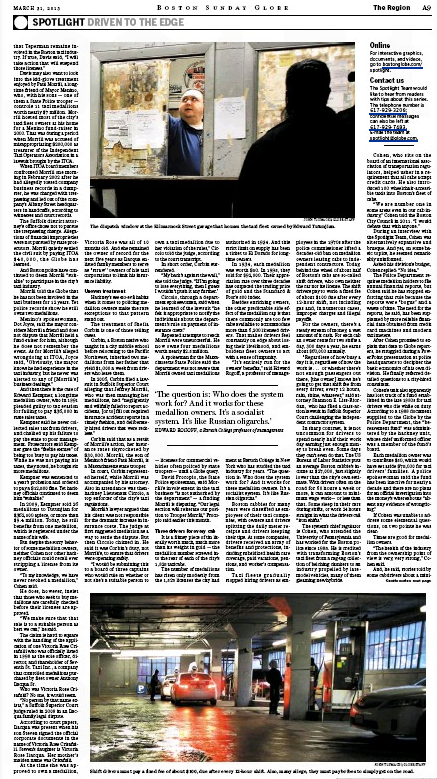 There’s lots of interesting advertising material in today’s local dailies, starting with the Boston Globe’s Capital section. 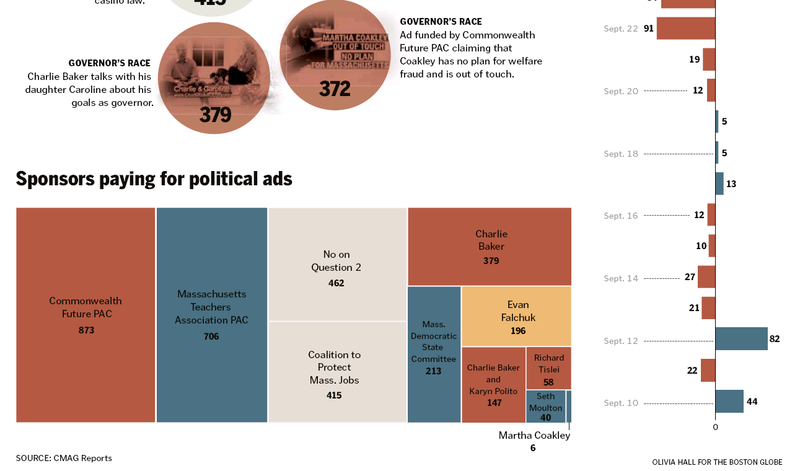 Usually the papers’s weekly political playground capitalizes on its cherce readership with a bundle of full-page ads, but in today’s edition what’s more interesting are the pieces about advertising. 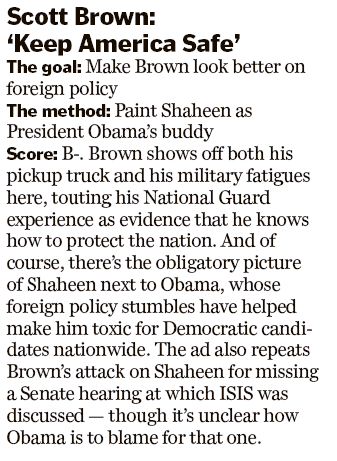 Charlie Baker, Martha Coakley, Seth Moulton, and Jeanne Shaheen also get the red-pen treatment. 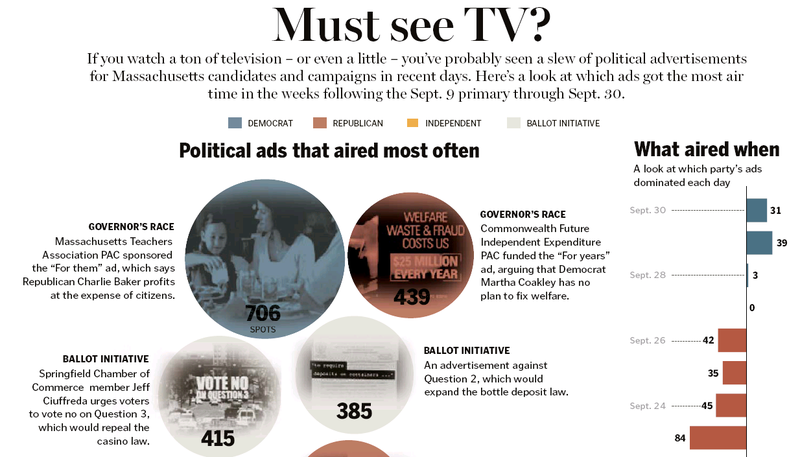 Getting the graphic treatment are Political ads that aired most often (in two parts for legibility – sorry, no link). 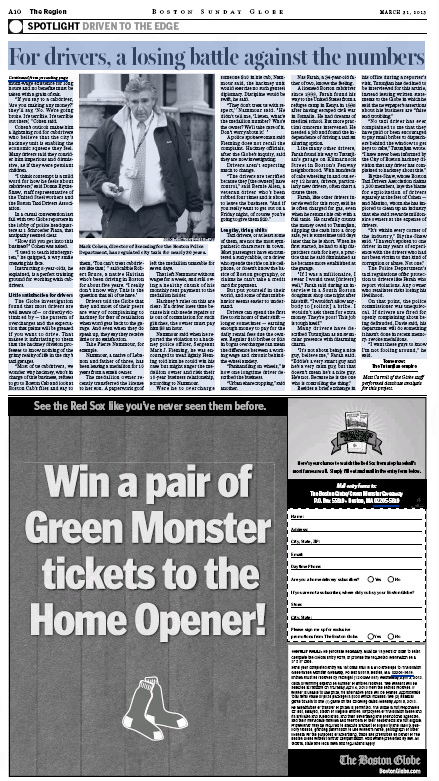 Crosstown at the Boston Herald, it’s today’s ads themselves that are most noteworthy, starting with this one for heavy Lyfters. 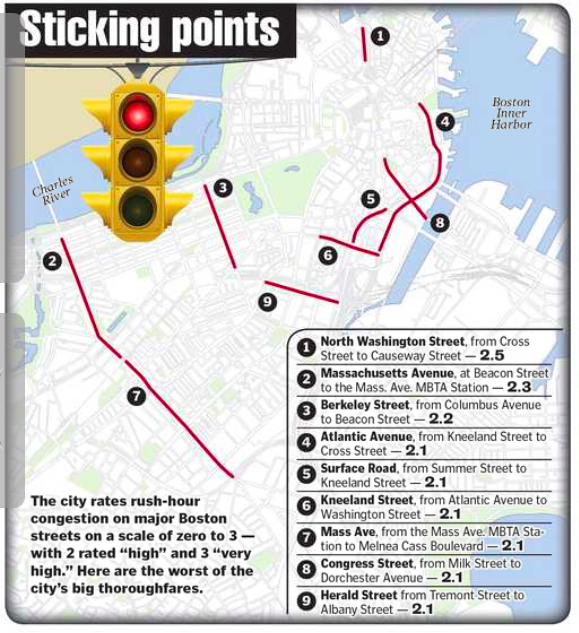 That’s appeared before in the Herald, but not (to our knowledge) in the Globe. 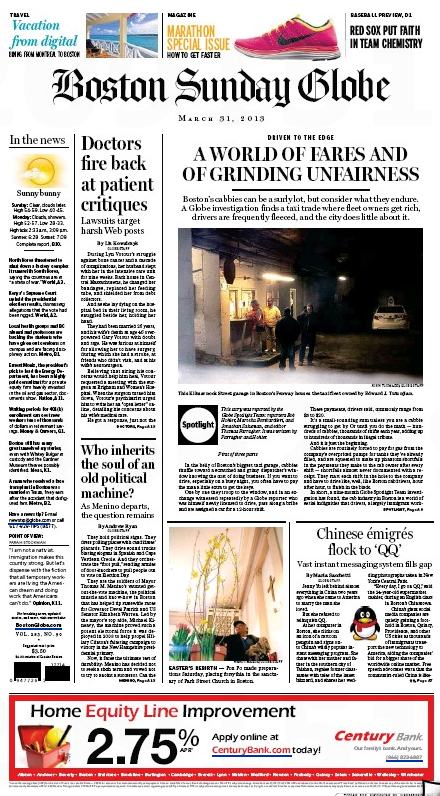 Here’s another one that we haven’t seen in the stately local broadsheet. Actually, we haven’t seen this ad in the Herald either before today. 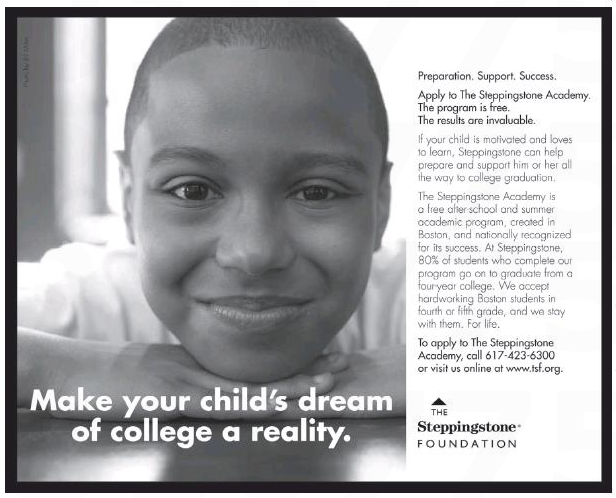 Anyway, here’s the Steppingstone website, and here’s their media page. Roll your own. 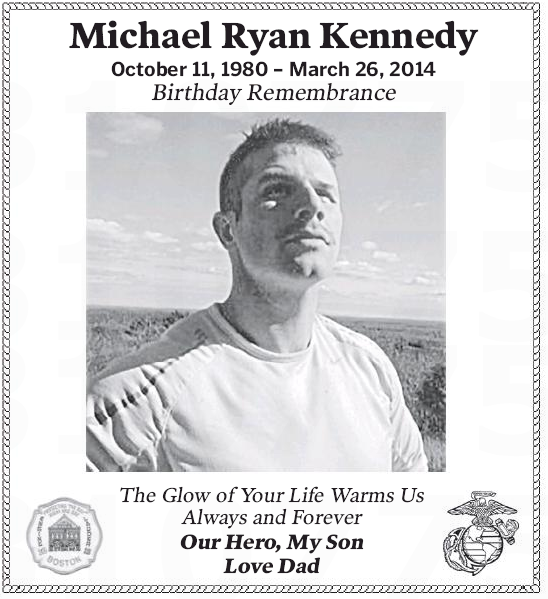 Rest in peace, Firefighter Michael Ryan Kennedy. 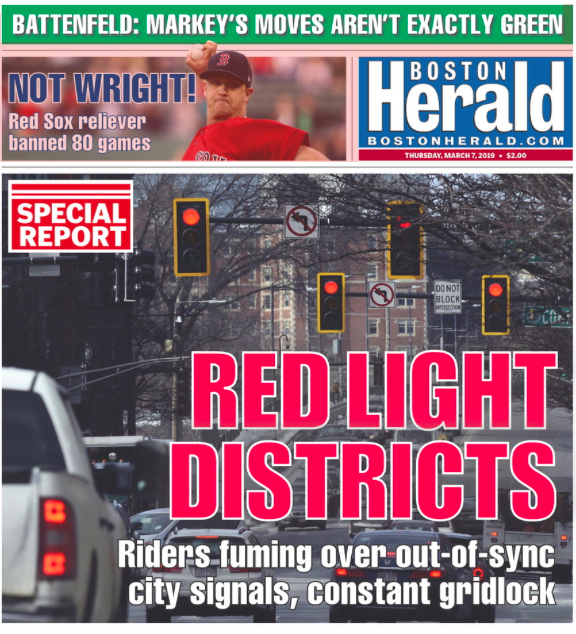 But the hardreading staff would take issue with today’s front page. 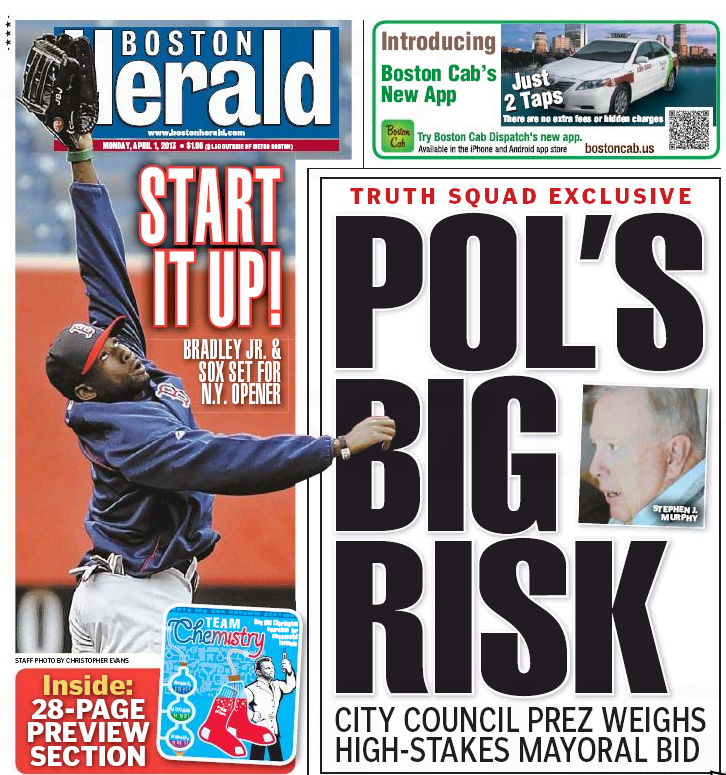 Don’t get us wrong – that’s good work, and Smith is hardly responsible for the hyperventilating headlines the Herald editors hatch. But undercover? C’mon. 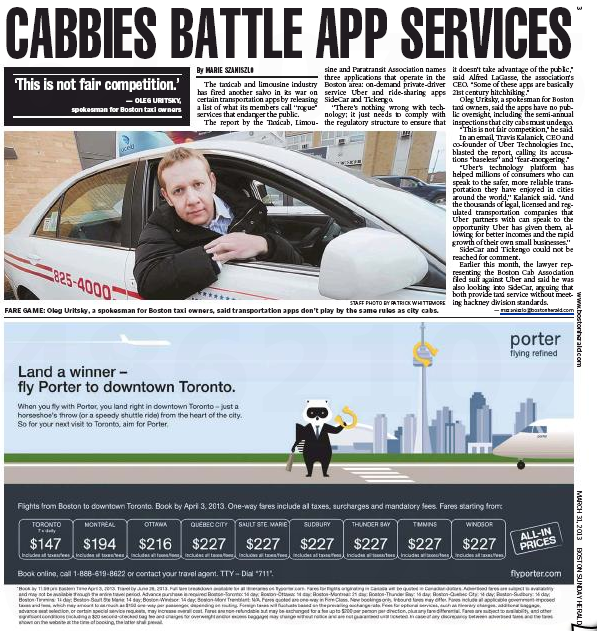 The Globe had a reporter actually drive a cab in its expose, and better yet, he got into an accident like a real cabdriver.